Strong consumer spending powered economic growth in the third quarter, helping to offset weak business investment and a drop in U.S. exports. After a nearly 7% selloff this year, the yuan is at the brink of hitting 7 per dollar, a threshold that could trigger further selling if Chinese businesses and individuals decide they need to expatriate capital before any further decline. Microsoft executives defended supplying technology to the U.S. military, in another case of a tech company having to explain its relationship with the government in the face of objections from employees. A year after leaning on its high-price iPhone X to ignite sales of its best-selling product line, Apple may need the lower-priced successor—the XR—to perform the same trick. Republicans and Democrats are sparring on the campaign trail over who gets credit and blame for the economy. Support for the president isn’t always translating into support for local Republicans on economic issues. U.S. households became slightly less confident about the economy in late October, but their overall outlook remained elevated. Makers of everything from paint to Big Macs are raising prices to offset costs. But is the American consumer ready to revamp budgets to protect corporate profits? Liberal-arts majors often fare better in avoiding underemployment than those who pursue more vocationally geared majors, such as degrees in parks, recreation, leisure and fitness studies and homeland security. A pickup in government spending, particularly defense, has helped drive a broad acceleration in U.S. economic growth, according to an analysis of Commerce Department data. Don’t Look a Gift Horse in the Mouth? Originally published by Michael Cohen. Although many realize you can make a tax-free gift of $15,000 per calendar year, per recipient without having to report the gift to the IRS, we often find that most are unaware of unintended adverse consequences that could result from that act of generosity since other issues should often be considered besides the gift tax issue. Many give away $15,000 per year, per person simply to reduce the size of their estate – particularly if they should have an estate that would otherwise be taxable on death (estate taxes). So, for example, if parents, each 60 years old, have adult children, the parents could give a total of $60,000 in a year (the father giving $15,000 to each child and the mother giving $15,000 to each child) without being subject to gift tax or reporting requirements. Most do not realize that if the gift exceeds $15,000 to an individual, it is the donor (in this case, the parents) not the donees (the children in this case) that are responsible for any gift tax and for reporting the gift to the IRS. So, if the father gave $115,000 to one child in year 2018, the father would be subject to the gift tax on the $100,000 excess over the annual exclusion amount of $15,000. However, the father could file a gift tax return using part of the unified lifetime exclusion which is presently $11,180,000 per individual donor (and that amount is scheduled to increase to $11,400,000 as of 1/1/19). This would reduce the amount that the donor could give at death. Those with taxable estates may look at the valuation of the asset given prior to making a gift. Since most Americans have an estate less than $11,180,000 (double that amount is married), the excess gift would have no problem from either a gift or estate tax perspective. The gift is neither tax deductible and the recipient of the gift is not subject to income tax for receiving the gift. Furthermore, a person can give away more than $15,000 to any donee (the recipient) if it is made directly to an educational institution (i.e., pay your grandchild’s tuition) or if it is made to a medical provider (i.e., pay your child’s hospital and doctor bills) in addition to the $15,000 gift per year to such donor. This is a different than giving to a charity where there is no limit and where sometimes the donor gets a charitable tax deduction. It should be noted that beginning in year 2018 less Americans will be entitled to the charitable tax deduction since the standard deduction was doubled by the new tax law that became effective in 2018. As a result, for those who are charitable and over 70½ who have retirement accounts but do not need the income from the retirement account (which a minimum amount is required to be distributed annually, once they reach 70½) and the charitable deductible is less than the standard deduction, it is suggested the distribution (which normally would be subject to income taxation) be made directly to the charity as that would not result in income tax under current law (but there would be no charitable deduction). So, for example, if a 72-year-old with a retirement account normally tithed but his or her deductions were not greater than the standard income tax deduction, then he or she should consider the distribution be made directly to the charity so there would be no income tax on the distribution. Another tax consideration before making a gift is to be careful what you give. The recipient of a gift takes the “basis” of the donor. So, if you gave to your child highly appreciated stock or real estate during your life, your child would be responsible for capital gains tax on the increase in value of such stock or real estate from the value as of the date you acquired the same. It should be mentioned that if said stock or real estate was held by you until your passing, there would be a “step-up” (increase) in the basis as to the value as of the date of death resulting in no capital gains tax on the increase in value from the date of your acquisition of the asset to the date of your passing. Therefore, one should consider what they give (in the case of appreciated assets) or how they give (in the case of the IRA to a charity) before giving. In addition to tax considerations, public benefits rules should also be taken into account before making a gift as there is a presumption that uncompensated transfers were purposefully done to reduce assets so that the government would help pay for care costs since programs such as Medicaid and certain Veterans programs are “means-tested”. So even though you make a $15,000 gift which may have no gift tax implication or reporting requirement, it could be a disqualifying event if you should apply for public benefits within the applicable “look-back” period. There are numerous Medicaid programs each with their own rules, but a common example would be long-term care Medicaid which has a five-year look-back period. So, if you made an uncompensated transfer (a transfer for less than fair market value) to a child (assuming the child is not disabled which is one of the exceptions under the Medicaid rules or the gift is not to an UTMA or to an ABLE account discussed in another article in this newsletter), it could be penalized requiring you to private pay instead of the government assisting in payments for long-term care. Similarly, as of October 18, 2018, the Veterans Administration will also penalize claimants who seek benefits if the transfer reduces assets below the maximum allowable limit (see our article this month) if made within a three year look-back period. Thus, before making a gift, there are numerous considerations (ranging from various tax issues to public benefits issues) that the donor should be aware prior to making a gift. If interested in this or other estate planning public benefits issues, then you should consider our next free “Estate Planning Essentials” workshop to be held on Saturday, October 6, 2018 from 10:00 a.m. to noon or on Thursday, October 25, 2018 from 1:00 to 3:00 p.m. or by calling (214) 720-0102 or sign up online at www.dallaselderlawyer.com. The post DON’T LOOK A GIFT HORSE IN THE MOUTH? GIFTING PROS AND CONS – CONSIDER BOTH TAX AND PUBLIC BENEFITS ISSUES appeared first on Dallas Elder Lawyer. With offers on sporting events, theme parks, and stylish outfits, your Member Benefit Program has everything you need to have fun and look great this October. Visit the Entertainment, Retail, and Wireless Phone pages to start saving. Premium Seats: NFL Football Tickets — Premium Seats USA carries a huge selection of NFL tickets. Save $50 on orders of $400 or more, or save 10% on your entire order. Ticket Monster — Thanks to the Ticket Monster Employee Discount Program, you can save up to 50% on tickets to sports events, concerts, theme parks, and movies. Preferred Access Tickets: Concerts — Get tickets to the most in-demand concerts, sports games, and major events around the world with the new TicketsatWork Preferred Access. It’s all here: great seats, the best prices, and the top shows. Theme Parks & Attractions — Save up to 40% on admission to the nation’s most popular theme parks, special events, and attractions. Savings are available for Walt Disney World Resort, Universal Orlando, Cirque du Soleil, movie tickets, and more. Rockport — Rockport believes that your workday should be spent in comfort and style. To help you turn heads at work without compromising comfort, Rockport offers 25% off your entire purchase all year round. OtterBox — Shop otterbox.com, and receive 15% off the OtterBox case of your choice. We dedicate our cases to all the klutzy, spontaneous, chaotic, graceless individuals who have broken a device or valuable due to their active lifestyle. Skechers Direct — Skechers Direct is proud to offer you all the benefits of our corporate shoe program. Save 30% year round on select work, corporate casual, dress, and performance shoes from Skechers. Originally published by Angela Morris. 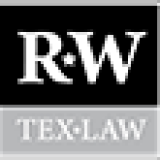 The Texas Supreme Court took the next step in expanding re:SearchTX, which grants access to state court records electronically filed anywhere in Texas. Originally published by Lowell Brown. Originally published by Cordell Parvin. Not all lawyers admit it, but every lawyer is afraid at some point in his or her career. For some, the fear is crippling. For others the fear is overcome. For me, my fear motivated me. Now that I am recruiting lawyers, I prefer to recruit those who are afraid far more than those who are complacent. As a coach and recruiter I can help a lawyer effectively deal with his or her fear, but I can’t help a lawyer deal with his or her complacency. What was my biggest fear? I always put it in harsh terms. I was always afraid my clients would find out I was a “fraud.” I was afraid they would figure out I didn’t know nearly as much as I appeared to know. How did this fear motivate me? Put simply, I always felt I had to work harder to be the lawyer my clients perceived I was. I was a member of the Civil Engineer’s Book Club and created a library and read book after book on highway design and construction, bridge design and construction and construction management. I read books and listened to tapes on trial skills and trial lawyers. One of my favorites was the Irving Younger CLE Series. Click on it and you will see it is still available. What are your fears? Are your fears holding you back, or are you using fear to motivate you to become the best lawyer you can be? The post I Used My Biggest Fear to Motivate Me appeared first on Cordell Parvin Blog. Originally published by Texas Personal Injury News. Q: Who can be sued if the drunk driver who caused the accident also died? While state laws– as well as the particular circumstances of an automobile accident– differ, people who are seriously hurt (or the survivors of those who are killed) by a drunk driver who was also killed in the accident still may have legal recourse. First, if someone is killed as a result of the negligent, reckless, or intentional actions or inactions of another person or entity, the closest surviving relatives of the victim can commence a wrongful death lawsuit to recover monetary damages. Compensatory damages differ on a case-by-case basis but generally include the victim’s final medical and burial expenses as well as the survivor’s loss of financial support and loss of consortium due to the victim’s death. If the person liable for the accident was also killed in the accident, a claim may be made against the estate of the responsible party, if any. In addition, in the event of a drunk driving accident, if a bar or tavern served the drunk driver alcohol prior to the accident, it may also be sued, again depending on state law and the particular circumstances. Texas Dram Shop laws allow victims to sue bar and tavern establishments if they served alcohol to someone who is drunk or under age and that person thereafter causes death or injury to others in a drunk driving or alcohol-related accident. Last year, a man leaving his wife’s grave was reportedly struck and killed by an alleged drunk driver whose toxicology tests allegedly showed a blood alcohol level over “three times the legal limit” as well as “traces of several drugs including two painkillers and at least one antidepressant”. The woman, who was reportedly traveling at 82 miles per hour in a 45-mph zone was also killed in the accident. She had reportedly consumed alcohol during lunch with her sister in an establishment. The victim’s family has filed suit against both the woman’s estate and the establishment that allegedly served her the alcohol. If you or a loved one has been injured, or loved one has been killed, due to someone else’s actions, the personal injury attorneys at Chandler, Mathis and Zivley can help maximize the compensation to which you may be entitled. Contact us today for a free consultation. From our offices in Lufkin and Houston, we represent accident victims and their families throughout Texas as well as those injured while visiting the Lone Star State. Originally published by Haynes and Boone Benefits Group. A recent case decided by a federal district court in California highlights that employer action other than a direct payment of premiums may constitute an “employer contribution” for purposes of determining whether a group insurance program is exempt from ERISA. Under the so-called “Voluntary Plan Exemption”, generally such a program will be exempt from ERISA if (i) there are no employer contributions toward coverage, (ii) participation in the program is completely voluntary, (iii) the employer does not endorse the program, and (iv) the employer receives no consideration for the program. In Bommarito v. Northwestern Mutual Life Ins. Co., the plaintiff, who was the sole owner of her company, and nine of her employees applied for individual policies of disability insurance to be issued by Northwestern Mutual Life Insurance Company (“Northwestern”). In the submission of her application to Northwestern, the plaintiff included the nine employee applications and a request for a “multi-life” plan, which would provide for a multi-life discount on the cost of each policy (collectively, the “Policies”). When Northwestern later cancelled the plaintiff’s Policy, she brought state-law claims against Northwestern. Northwestern contended that her claims were preempted by ERISA because the Policies constituted an “employee welfare benefit plan” under ERISA. The court agreed that the Policies constituted an ERISA plan. The plaintiff then asserted that the Policies were exempt from ERISA based on the Voluntary Plan Exemption. With respect to first prong of the exemption, the plaintiff argued that she never paid any premiums for her employees’ Policies, thus she never “contributed” to them. In evaluating the application of the Voluntary Plan Exemption, the court stated that when an employee receives a benefit that she would not have received absent the action taken by her employer, the employer’s action should be considered a “contribution”. The court then held that, because the plaintiff facilitated a discount on the cost of her employees’ Policies, she contributed to the Policies, regardless of who actually paid the premiums directly; therefore, the Voluntary Plan Exemption did not apply. Please note that Bommarito is controlling only in the jurisdiction of the federal district court of California that issued the opinion. However, an employer that wants to rely on the Voluntary Plan Exemption should take note that certain beneficial actions by an employer which impact the cost of employees’ coverage, such as the negotiation of a group premium discount, may constitute an employer contribution that negates the Voluntary Plan Exemption. Bommarito v. Northwestern Mutual Life Ins., No. 2:15-cv-1187 (E.D. Cal. July 23, 2018). The post Negotiation of a Premium Discount May Constitute an Employer Contribution appeared first on Haynes and Boone Blogs. Bitcoin Battles: Is Your Spouse Hiding Assets Via Cryptocurrency? Originally published by Bryce Hopson. Cryptocurrency began in 2009, gained popularity since, and acts now as an important role in the financial lives of many couples. Bitcoin is a type of cryptocurrency, the first decentralized “digital currency” for direct transactions between users with no intermediary; essentially a line of computer code that holds monetary value. Think of it like this: cryptocurrency has no physical form (like a dollar bill or a nickel), nor is it controlled by any government agency, but is instead maintained virtually. Even though cryptocurrency is different than standard currency, Bitcoin can be distributed during property division in a divorce as if it were any other asset. Texas is a community property state; when a divorce occurs, the marital assets are divided equitably. This process becomes more complicated when stocks, bonds, and virtual currencies are involved, as each will fluctuate in price. The general approach is for the judge to determine the date these types of assets will be “valued,”—which could be the date of divorce, the date a mediation agreement is signed, or even the date the Bitcoin was first distributed—and from there, the division is made accordingly. How are Cryptocurrency typically divided? Often parties will come to a decision about Bitcoin holdings division as part of a settlement or during a mediation. There are several ways to handle this process: one party receives the entirety of this type of asset and the other obtains an asset of the same value; virtual currency can be divided or sold, then re-divided evenly; or one party maintains possession of the Bitcoins as an investment but agrees to split the proceeds of any future sales. This can all be handled fairly easily. What is the Concern with Cryptocurrency in Divorce? Though it certainly doesn’t have to, digitization of funds can make the equitable division of assets in a divorce more complicated. While Bitcoin can be stored on an owner’s computer and kept reasonably safe, this can also make it easier for a spouse to transfer or hide funds from the other. A spouse might be keenly aware of their imminent divorce long before their partner; when this is the case, he or she will often begin planning for divorce, which unfortunately, could include manipulating funds. In Texas, particularly with monied spouses, oil leases can be an issue; spouses might conceal a leasing deal in a trust, for example. Not surprisingly, parties have found any number of ways to hide what they consider “their” money—from trusts, joint partnerships, offshore accounts and gold coins to enlisting the aid of family members for fund storage. Divorcing spouses, therefore, are wise to be aware of any conversions of “real” marital assets: for example, a bank account turned into a digital Bitcoin. This type of activity will create a paper trail, but a party may need to take specific action to uncover any missing assets. The truth is, anonymity comes with cryptocurrency, and its somewhat new popularity means enforcing disclosure can be difficult. However, if a party proves contrary, courts can revise property divisions when hidden assets are found and will not hesitate to do so. If you believe your spouse may be masking assets, make your family law attorney aware immediately; often, retaining a forensic CPA will be recommended to uncover any unlawful behavior. A forensic CPA scrutinizes personal or corporate financial books to reveal whether it appears funds are indeed being hidden. Assets offshore in particular requires an expert CPA and likely court orders. While frustrating and time consuming, if you have true suspicion that your soon to be ex is hiding assets, do not ignore the gut instinct or allow yourself to be intimidated. It is vital to take measures to reveal funds that rightfully belong to you. Additionally, a spouse covering assets who is caught will answer to a judge, who can order that the innocent party receive a greater share of community property, sometimes splitting assets to as much as 70/30 instead of the traditional Texas 50/50. And depending on what method was used to hide funds, the guilty party could face charges from the IRS. The post Bitcoin Battles: Is Your Spouse Hiding Assets Via Cryptocurrency? appeared first on Hance Law Group | Trusted Dallas Family Law Attorneys.